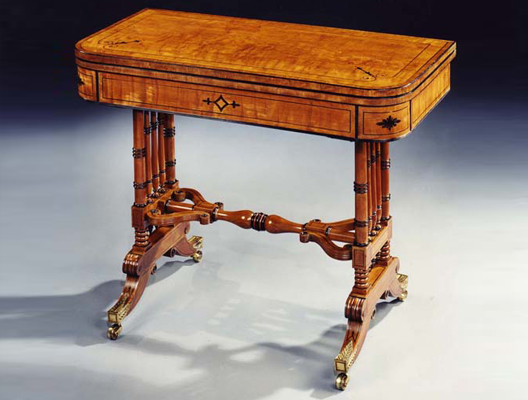 A very fine quality English Regency period card table, the rectangular top being executed in figured and faded West Indian satinwood with ebony inlay, the satinwood veneered frieze also with ebony inlay and ebony mouldings, the table supported on turned baluster end supports of solid satinwood with ebony inlay and ebony mouldings, these supports being joined by a solid satinwood and ebony stretcher of unusual design, the elegant ebony inlaid satinwood legs still retaining the original gilt brass castors. 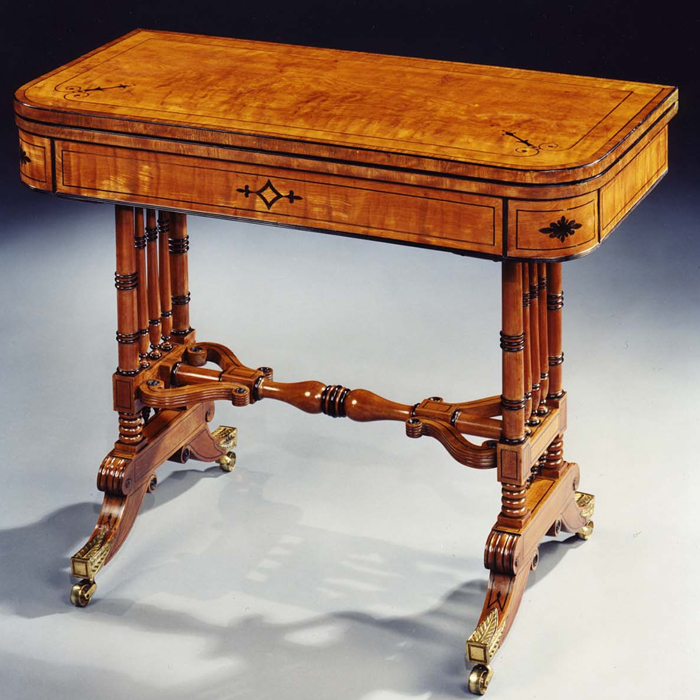 Amongst the unusual features of this table, the top is made to slide sideways so that access may be gained to the well without having to twist and open the top, a procedure more usually found on card tables of this period and type. Height 29in (74cm). Width 36in (91.5cm). Depth 18in (46cm).